The programme offers you the opportunity to create your own wall connections. 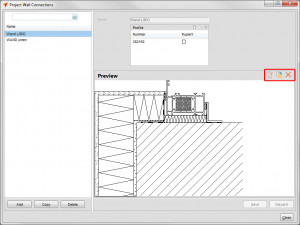 Thus inserting and editing within a project wall connections flexibly and safely. Click „Wall Connections“ in the input of elements. 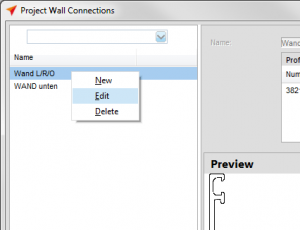 Under „Project Wall Connections“ click „New/Edit“. You will get to an overview with all available project wall connections. 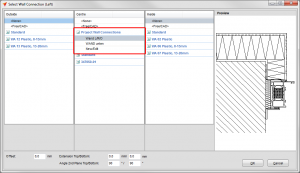 You can add new project wall connections in this programme window. Right-click the wall connection for editing. 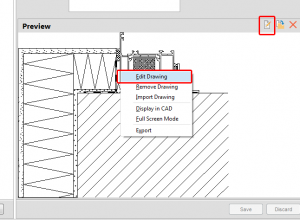 In order to adjust the wall connection drawing, right-click to the preview image and select „Edit Drawing“ from the context menu. You might also use the symbol „Edit“ for the same purpose. 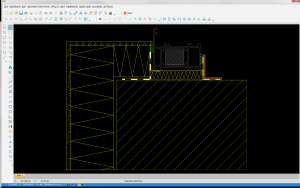 You get to the CAD and can modify the drawing. You can access the project wall connections in the right column via the project centre. Or click „Job“ → „Project Items“ → „Project Wall Connections“ in the file menu.